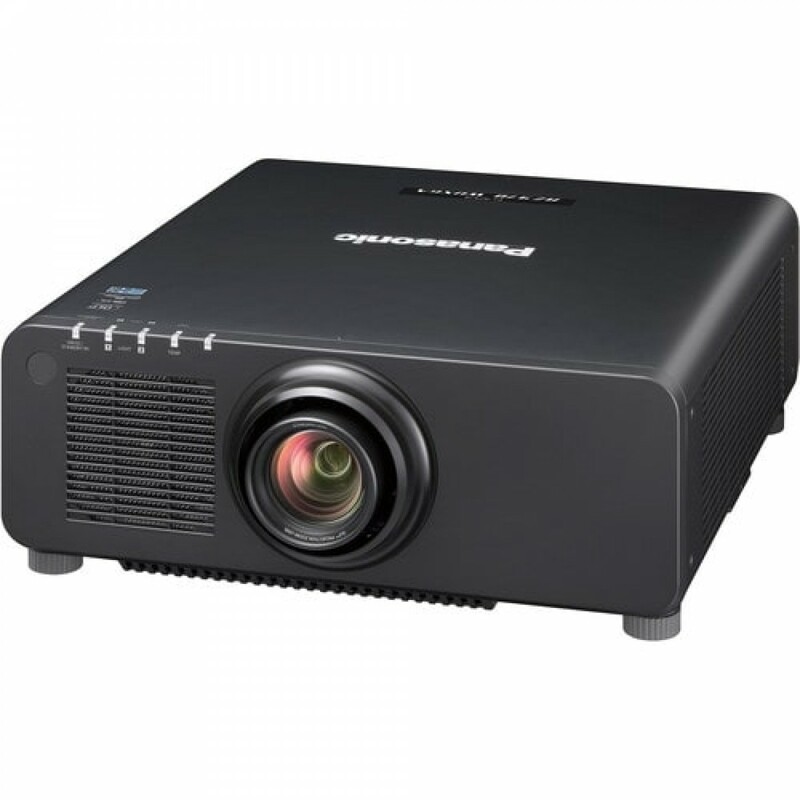 Powered by the acclaimed SOLID SHINE Laser drive and latest 1-Chip DLP™ technology, enjoy bright images in most settings with the Panasonic PT-RZ970BU 10,000-Lumen WUXGA DLP Projector. Its 10,000 lumens of brightness and 10,000:1 dynamic contrast ratio will work together to overcome light in most rooms and provide detail in dark areas of the image. It sports a 1920 x 1200 WUXGA native resolution for viewing detailed video, pictures, or data. The 1.7 to 2.4:1 throw ratio offers a range of throw distances for focused images, and the projector supports a variety of optional interchangeable lenses to offer various throw ratio choices. The PT-RZ970BU features HDMI, VGA, 3G-SDI, DVI-D, and HDBaseT inputs to connect to nearly any device. The projector is controllable via the included wireless/wired remote control, HDBaseT, or RS-232 with various control software options.